Chevrolet completely redesigned their compact COLORADO pickup truck in 2016, resulting in what professional reviewers rate as the most contemporary, technologically advanced, and best riding truck in its class. 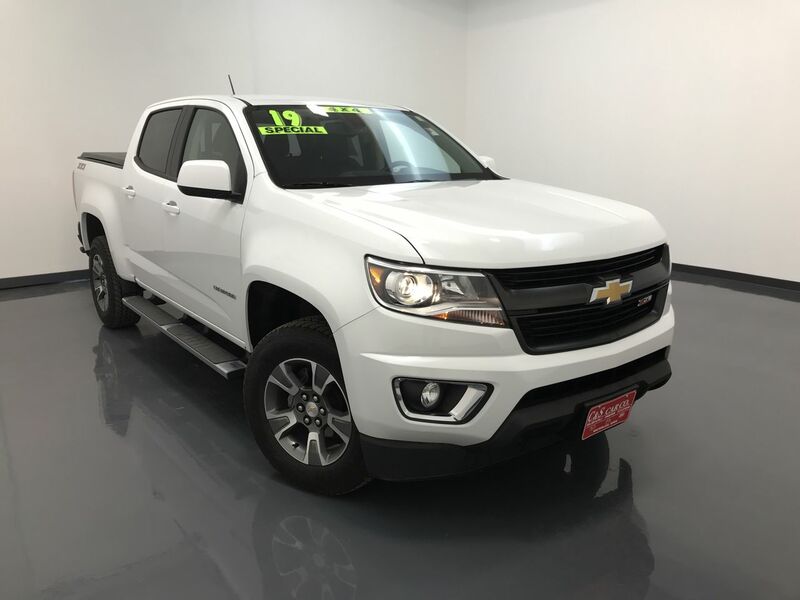 This 2019 COLORADO Crew Cab 4x4 Z71 has four doors and a short bed with a spray-on bedliner. There are heated and power assisted front seats, keyless entry, fog lights, a back-up camera with sensors, and all-weather floor mats. The infotainment system has navigation, an AM/FM sound system, XM satellite radio, and Bluetooth connectivity. The exterior features 17" alloy wheels with Goodyear tires, running boards, a soft tonneau cover, and a 2" receiver hitch. **One Owner** Call C & S Car toll free at 866-212-8718 or locally at 319-291-7321.